First thing’s first, you want a picturesque landscape. Aesthetic will probably play one of the most important roles, if not the most important role, in determining the location your new tree. It’s wise to consider the color of your tree, the size it will reach, and how well the tree will match with the surrounding landscape (and your home). Next up, consider the shade that your tree will cast. If you have a patio or deck, you can plant tall-growing shade trees to give your property some space to escape from the hottest, sunniest days of the year. Also, be mindful that the shade of your tree could help the growth of other flora throughout your property. Think about your lawn—does it have any dry, burnt patches? Is your grass spending too much time in the sun? Planting a few shade trees throughout the yard can work wonders for your grass. OK, now you don’t want to block the views from your home or patio. After all, if you had an excellent view from your living room, you wouldn’t want to place a tree right smack in the center of your window. Instead, use trees to shape and enhance your view. A few well placed trees can help you to frame your view, or even improve it! Do you live a few hundred yards from the highway? Well, you may be sick of hearing tanker trucks at two in the morning. Fortunately, trees create a natural sound barrier. Plant a wall of trees, or stagger trees along a line in order to reduce the amount of sound that reaches your home’s windows. You can also select trees that are full of foliage. Consider planting cypress, pine, or evergreen trees throughout your landscape to give yourself some relief from annoying noises. If you have nosy neighbors, or you simply value privacy while you’re on your property, you don’t have to put up a big cedar fence. You can make the most of your landscape with a natural privacy barrier. Once again, you can plant a wall of trees, or plant trees staggered so that passersby won’t have a view of your property. You don’t want to plant a tree where it will be a nuisance. Keep trees a few feet away from your home, since their roots can penetrate your abode’s foundation. It’s also wise to plant trees far away from power lines. 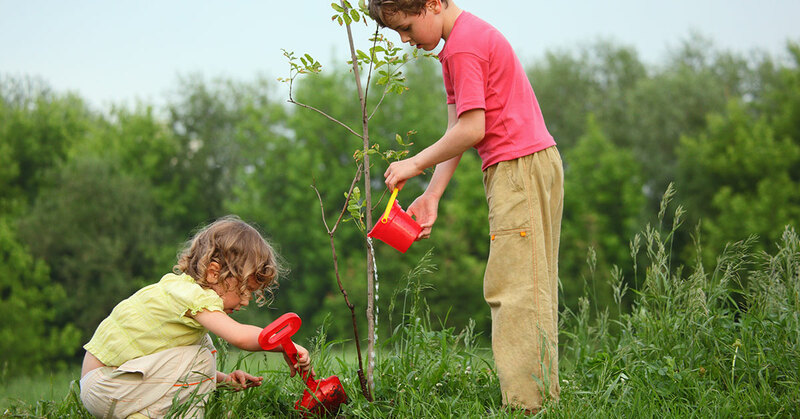 Are you still uncertain about where you’d like to plant your next tree or trees? Don’t worry. We’ll stop by and discuss the possibilities, and we can help you to choose the right type of tree(s) for your landscape. If you’re ready to get started, don’t hesitate to get in touch with us. We’ll give you a quote for your project right away.